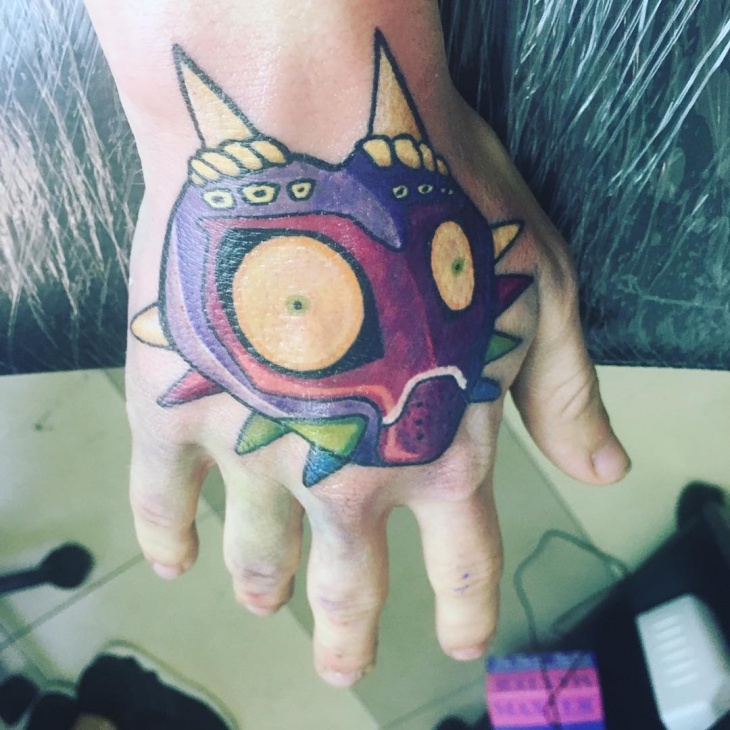 The legend of Zelda has given a great deal of inspiration for tattoos and body art. 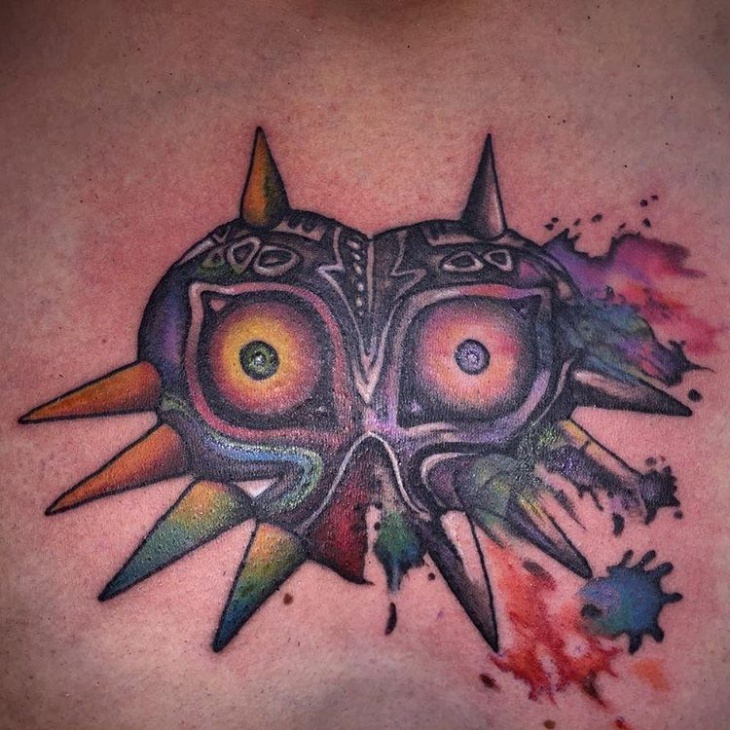 The combination of colors, shapes, and unique characters offers a variety of designs and layouts that can be drawn on every body part. 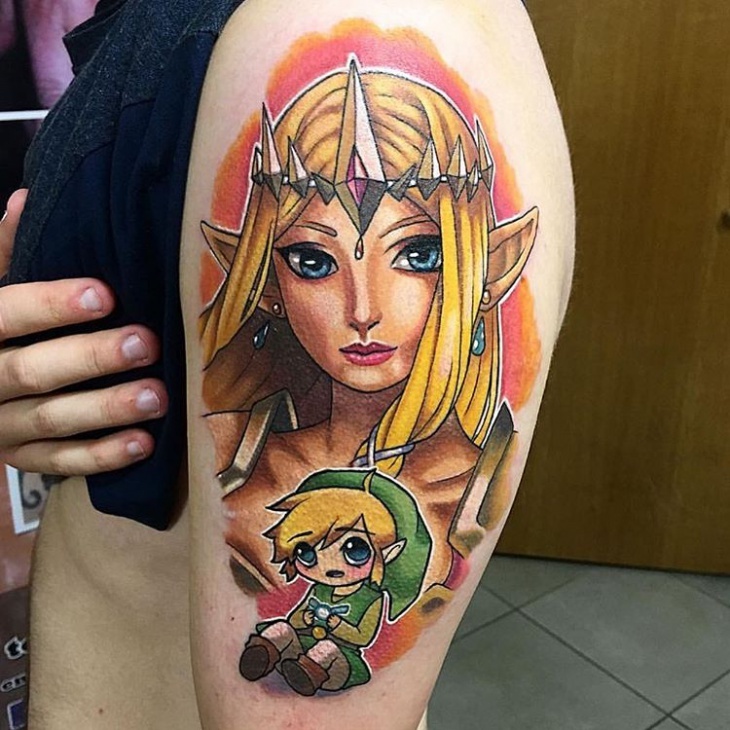 Zelda tattoo can be combined with other themes like heart tattoo or sleeve tattoos. 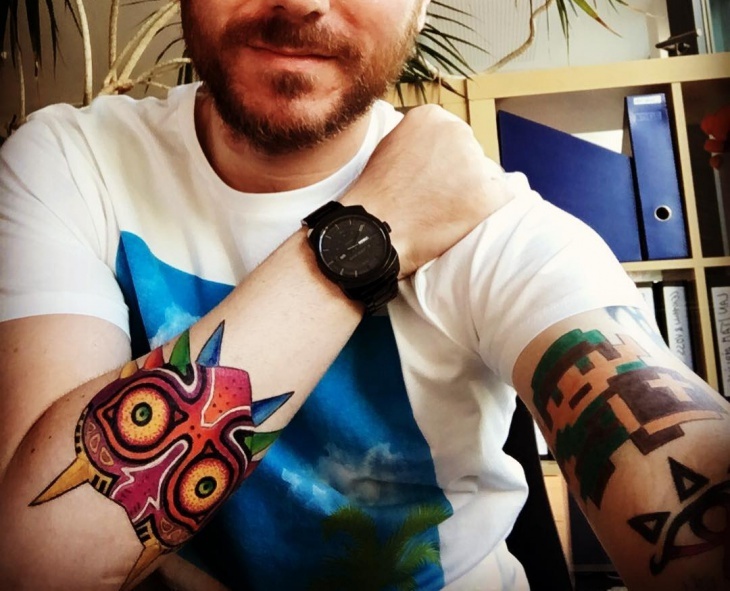 Today we have prepared a collection of awesome Zelda tattoo designs that might help you choose your next tattoo. The design consists of gorgeous color combinations. 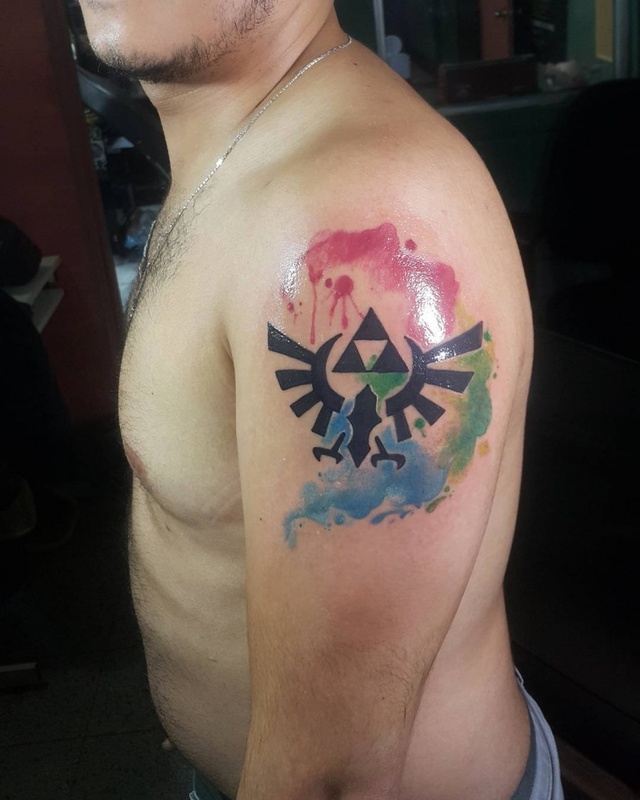 The fading colors of the outline create a contrast to the natural skin tone. The lining is simple but the coloring might take some time to complete. 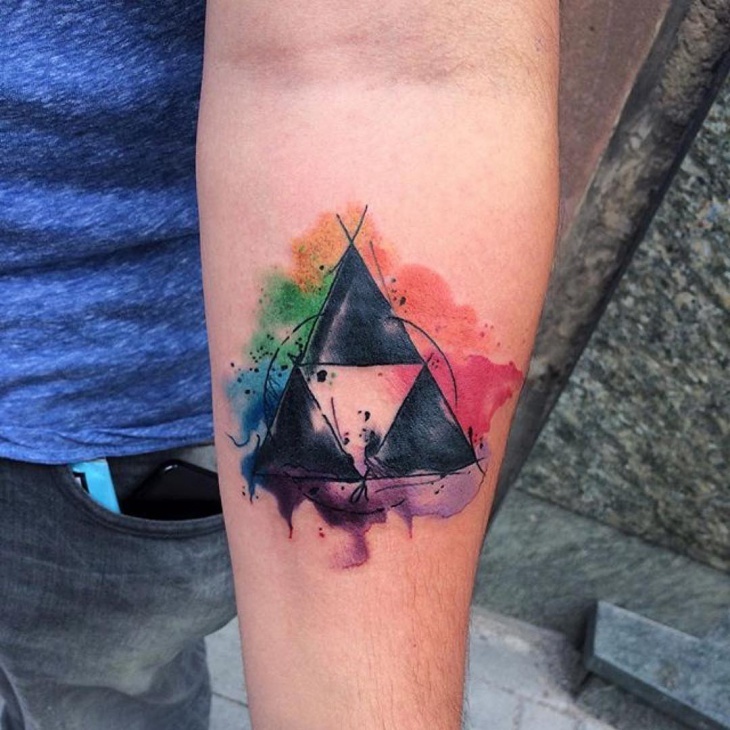 An abstract inspiration of a Zelda tri force tattoo. 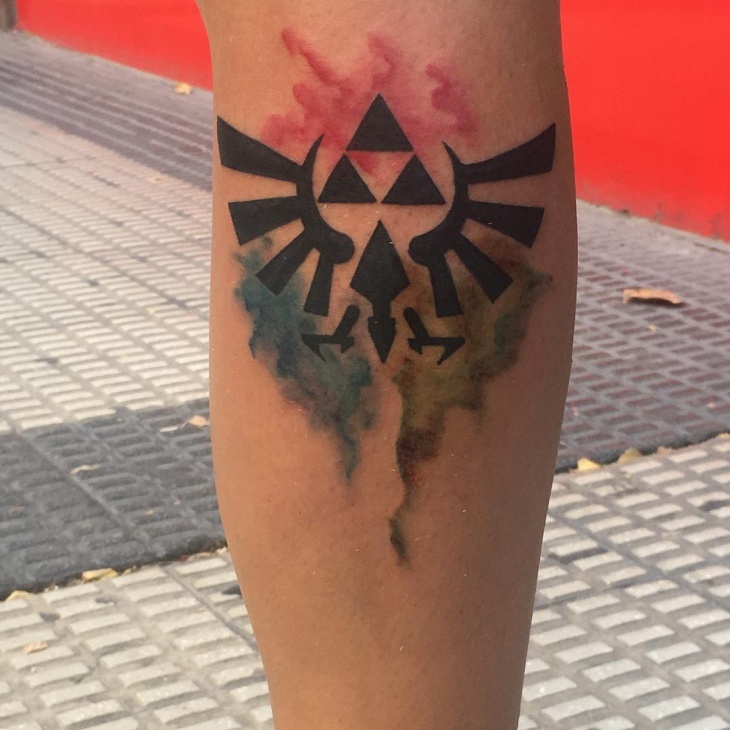 The background colors create a smoky effect that looks perfect behind the black tattoo. 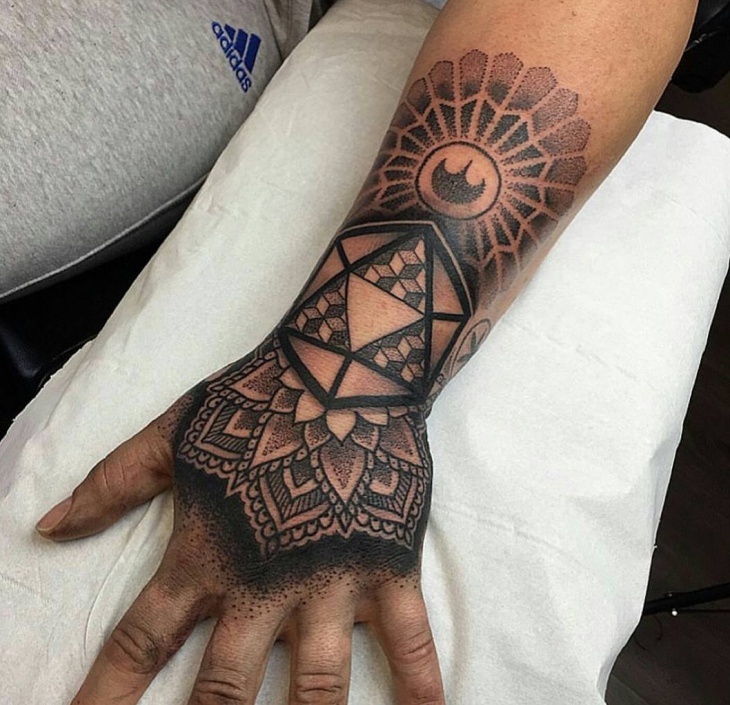 This is a great idea for a star tattoo that has a black body and a smoky background. 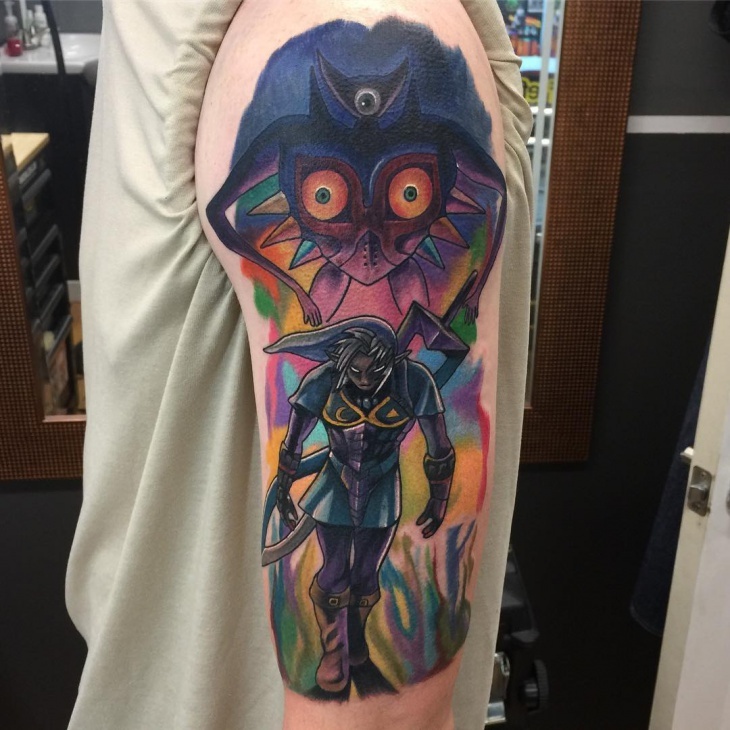 Bright and vivid colors synthesize this amazing Zelda tattoo. 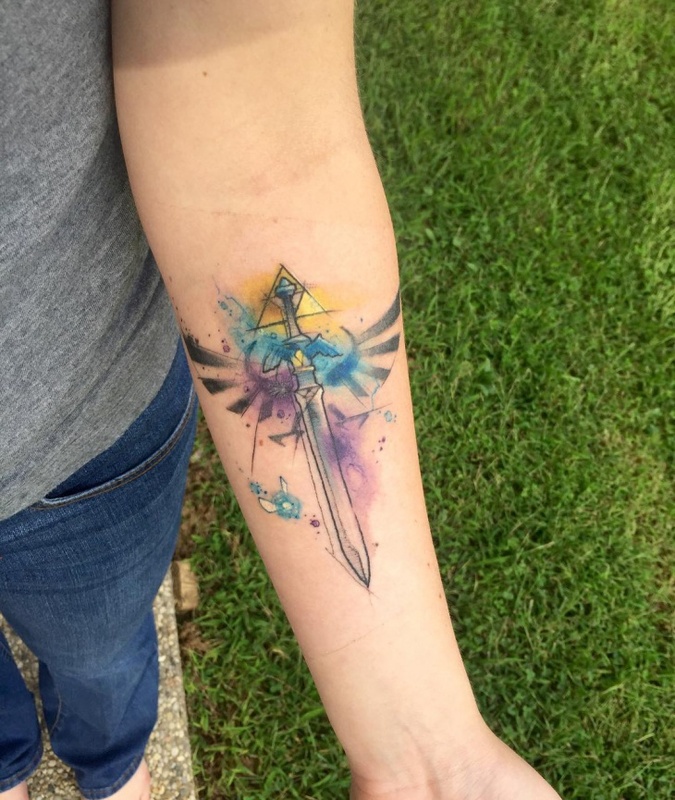 Incorporating all the elements of the famous Zelda characters along with the sword tattoo it comes to life with the careful design of the lining. 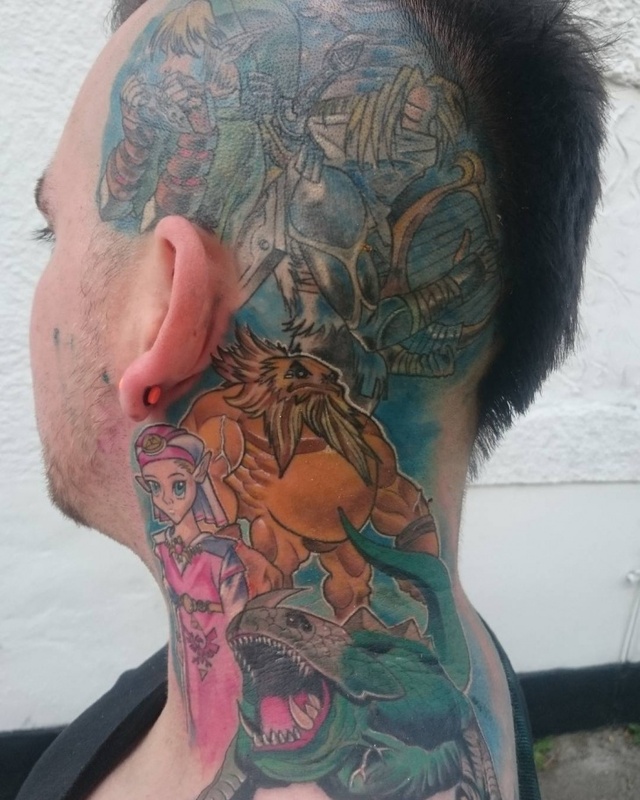 A great example of tattoo art depicting the Princes in great detail. The shading creates natural contours that give a 3d effect on the design along with the bright colors. The drawing might take some time to finish. 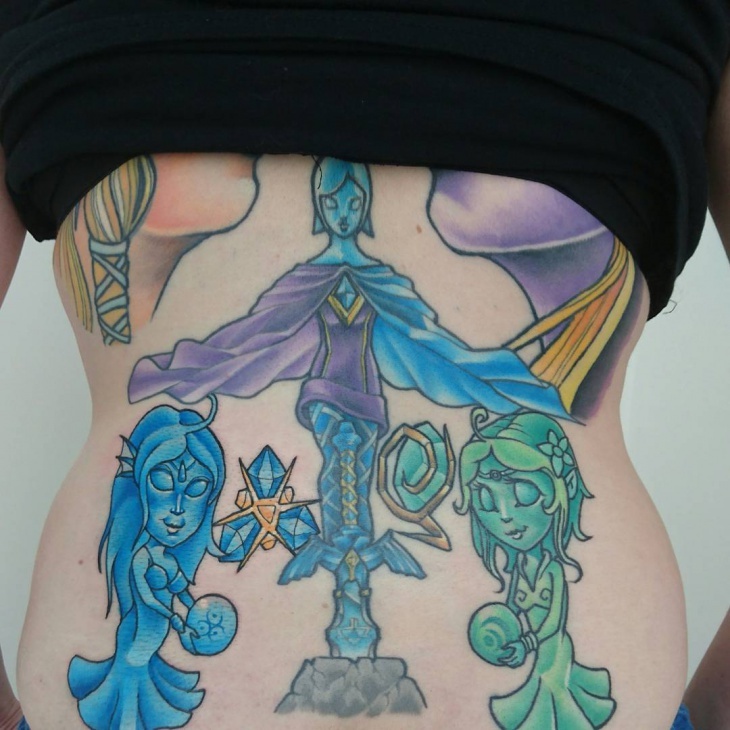 The shield design of this tattoo is a detailed work inspired from the Zelda characters. The lining is simple and the tattoo can be completed in a couple sessions though it requires some skill in order to give a 3D touch. 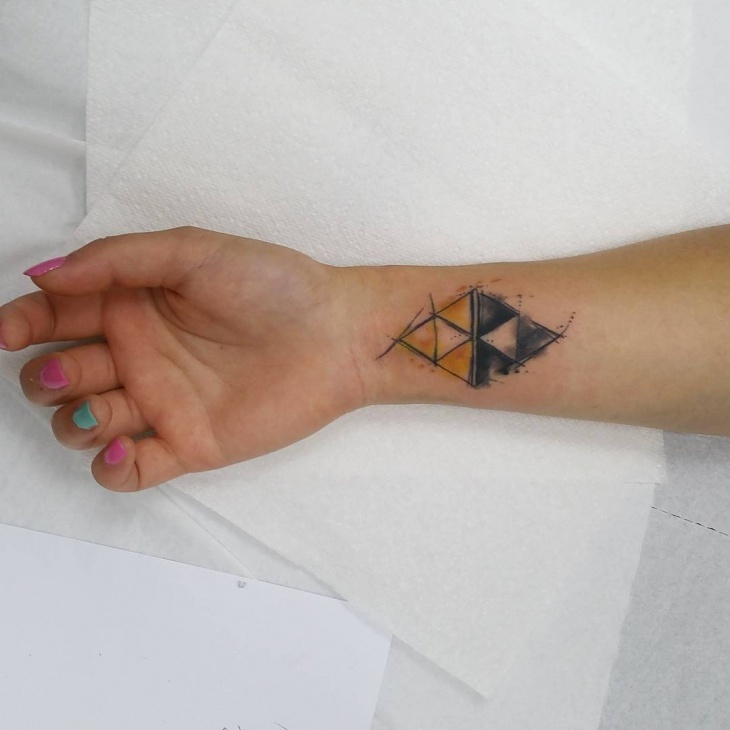 One more tri-force design from Zelda’s world. The smoky element of the background colors gets a twist with dotted splashes bring a fresh point of view to the design. This requires some skill to achieve with an average time of completion. 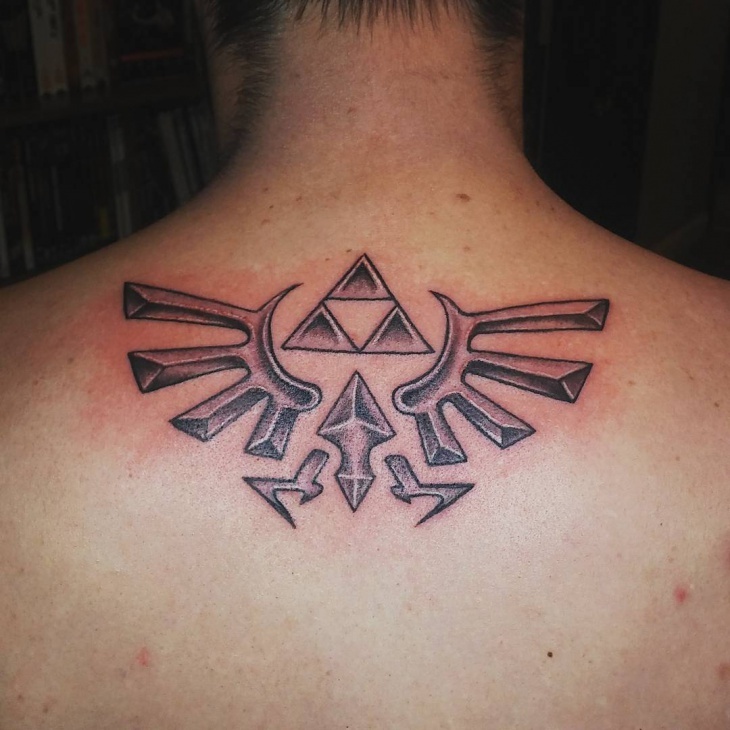 The smudged and messy outline of this tattoo gives a modern and abstract style to the tri-force inspiration. Lines that curve outwards as well as the triangles are simple to draw and color with little time for completion. 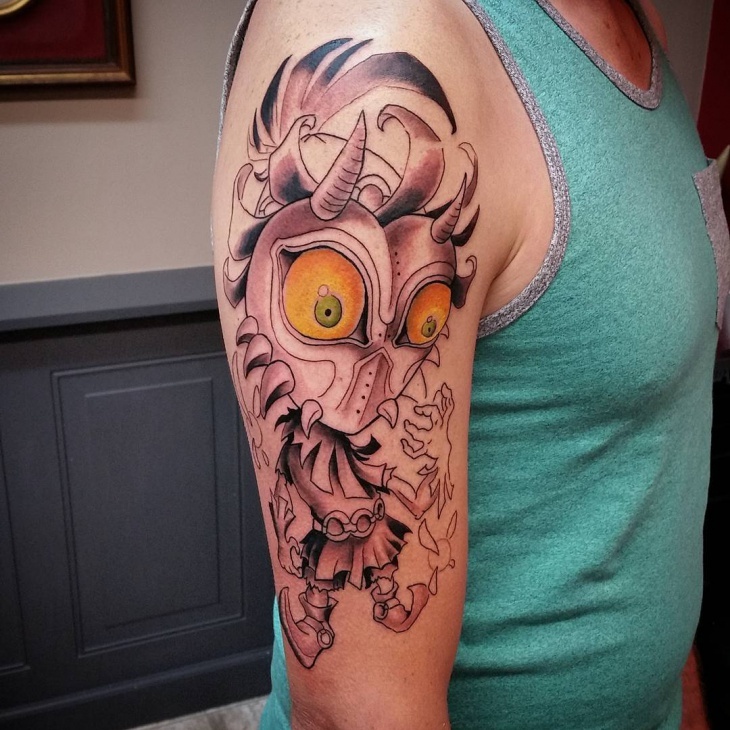 The world of Zelda inspires this tattoo art. The colors and the simple lines have a high quality that brings the design to life. 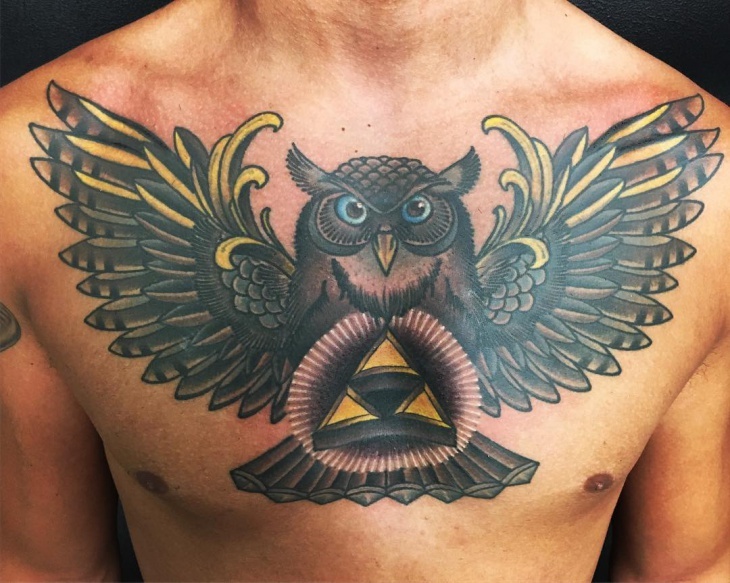 Choose vivid colors to make the tattoo stand out and be a focal point. 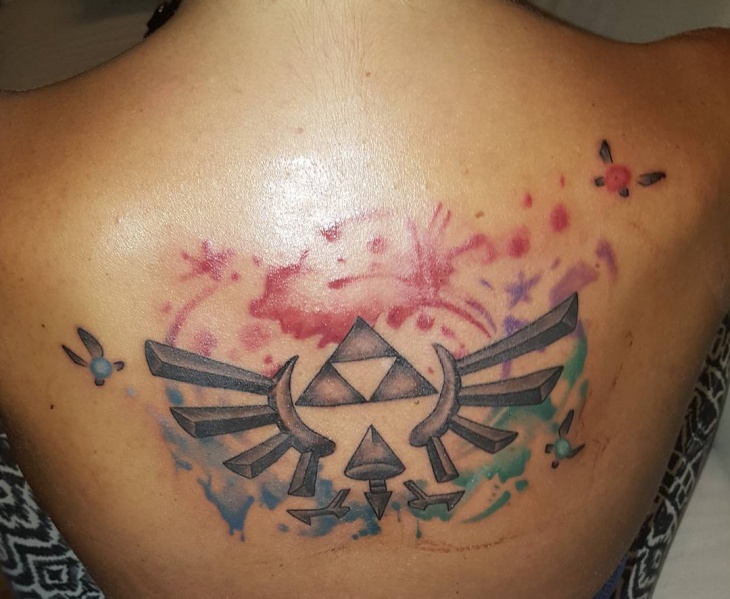 This amazing Zelda tattoo has the element of the merging in a real tri-force art. The colors blend with each other creating a circular form on the background with smoky forms and stars synthesizing an amazing design. 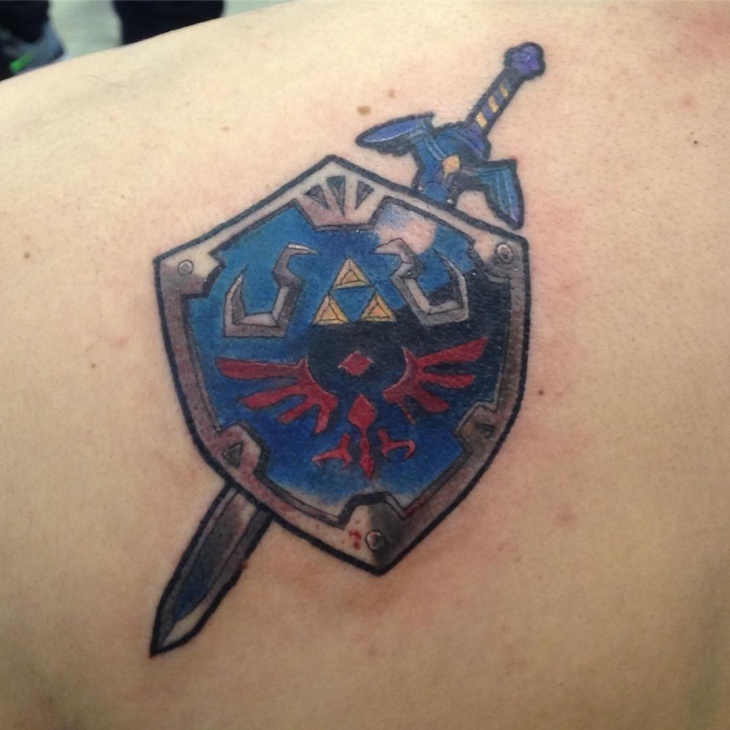 The lining process of this tattoo requires spending some time in the tattoo parlor. The details need to be worked in order to bring a high-quality result. The coloring will require an equal amount of time as the lining. 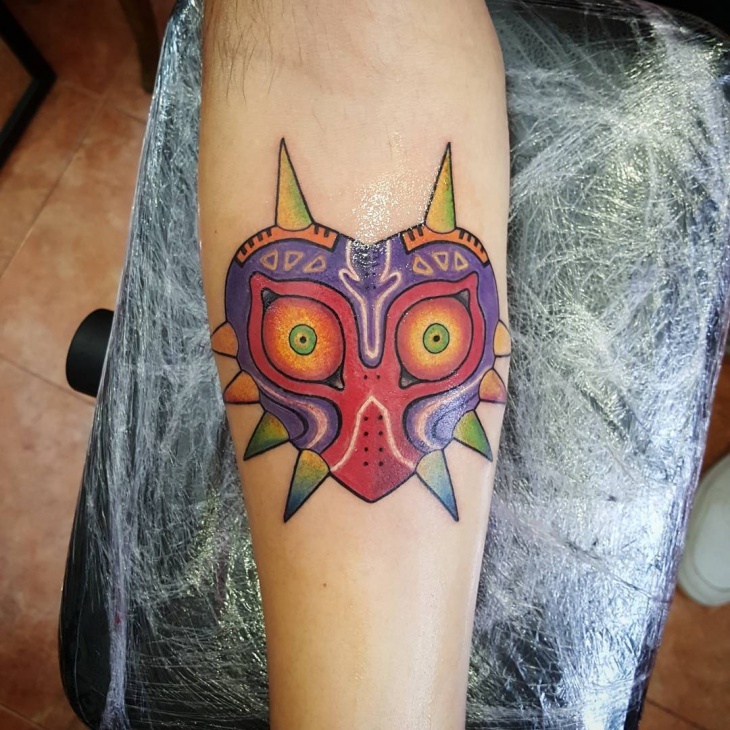 A tattoo needs to mean something to you. 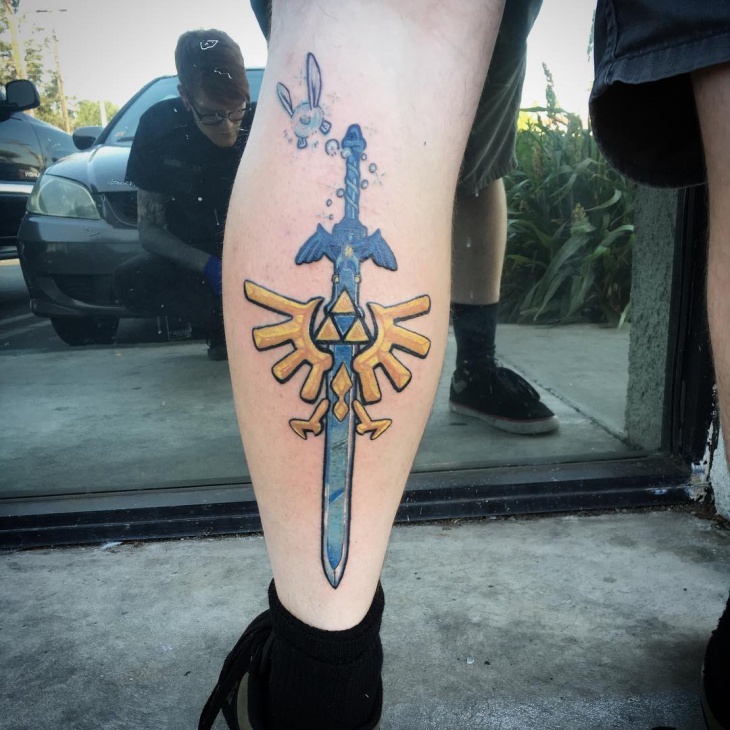 The legend of Zelda has inspired many to get tattoos that incorporate characters or elements of this fantastic world. 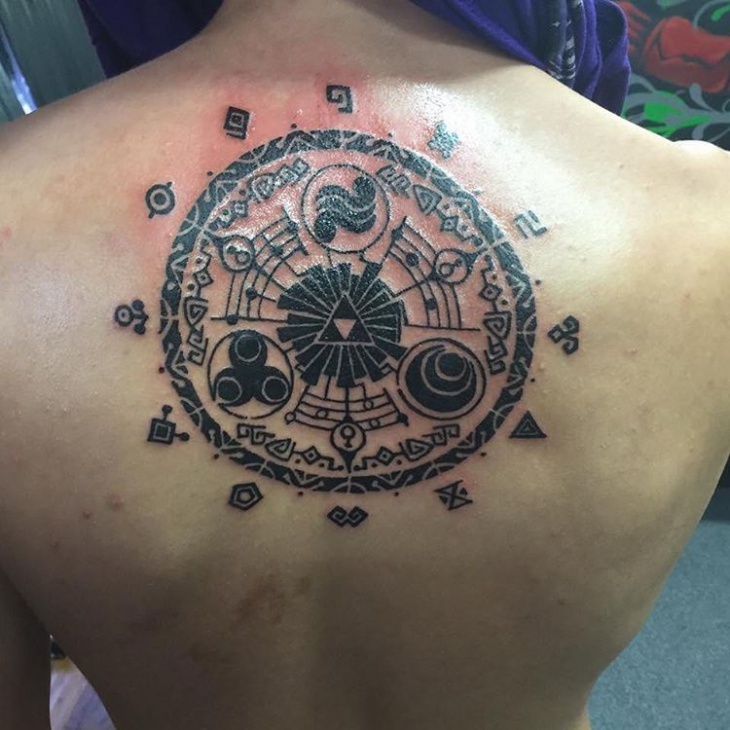 It could also be a form of inspiration for mandala tattoo with intricate designs and multiple colors that will merge into tattoo artwork.